Editors' Picks: 20 of the Best Things to Do in Montana! Montana's name derives from the Spanish word for "mountain" - and it is undoubtedly one of the wildest, most rugged states in America. It's home to the largest population of grizzly bears in the "lower 48," a thriving cowboy culture and some of the most breathtaking terrain anywhere (43 state parks and 25 scenic drives). The Treasure State is where Custer made his last stand at Little Bighorn, where buffalo still roam, and where Hollywood icons Gary Cooper and Myrna Loy were born. If you're feeling adventurous, check out our list of 20 of the coolest things to do in Big Sky country. In several places in the world, there are unique geologic formations that "chime" when you tap them with a mallet or wrench. Butte is home to one of these strange piles. Have a whack and hear them "sing." During two days in June of 1876, the Army's 7th Cavalry (including Lt. Col. George Custer) faced thousands of Lakota and Cheyenne. This somber area memorializes one of the iconic moments of American history. 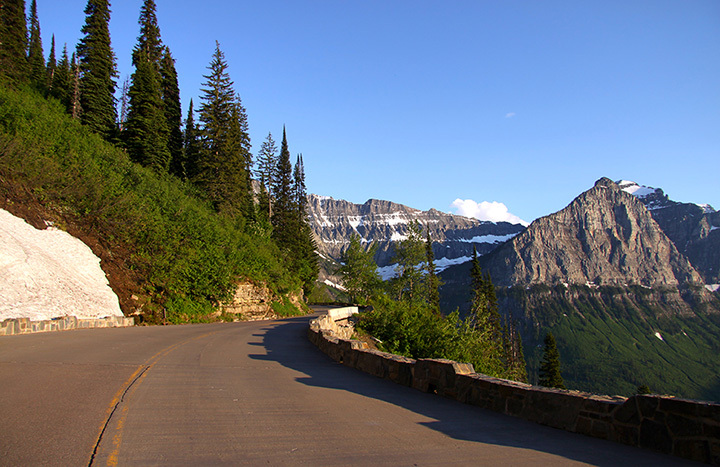 This spectacular 52-mile highway winds through Glacier National Park, and features many places to pull over and take in amazing scenery. There are also opportunities for hiking. America's first national park is one of the most popular attractions in the world, stretching across three states (Montana being one of them). There are plenty of places at the Montana entrance to hike, take in some amazing views or just have a leisurely picnic. Inside Glacier National Park is this challenging - yet rewarding - trail that in some places, ascends nearly 1,000 feet over less than half a mile. But the views are astonishing. So if you're up to it, put it on your bucket list. The Big Sky resort is one of the hot destinations in the state for all things snow-related (snowfall is about 400 inches per year). The skiing is simply off the hook. Fat bikes - with their big tires that make it easier to ride over snow - are becoming a favorite way to explore the winter landscape. The beautiful Flathead Valley is a popular location for this fast-growing sport. Take a dog-sledding tour. There are numerous outfits in the Whitefish area that let you either sit back and enjoy the view - or try your hand at leading the team. Warm up at any one of the many different craft breweries popping up throughout the state. A tour is just the thing to sample a wide variety of artisan brewers.